You know why April is the best month? Yep! It’s my birthday month. I’m 25 years old. Quarter of a century. I can rent a car without paying an extra fee. All that fun jazz. Now, I’m really not a big celebration kinda guy but my last three birthdays have been pretty awful. When this year’s birthday came around I had low expectations. My one desire was for nothing to go wrong. I went to my favorite coffee shop, posted up with my puppy, and blasted out a list of 25 goals I wanted to accomplish this next year. I’ve broken up this list into the 5-6 areas that are most important to me! These are the areas of life that I’m most passionate about and feel called to really lean into more. When I think about my life purpose, these goals are each helping lay the foundation for a life well lived. So here’s the list! These are the 25 goals I hope to accomplish by April of 2019. I probably could have written out a hundred because I’m a serial goal-setter, but I liked the sound of 25 x 25. Every 3 months I’ll be doing a quarterly report to track my progress, see what’s working, and hold myself accountable. Over the past few years since graduating college, my health just hasn’t been a priority. I’ve gotten married, moved twice, started grad school, and have spent the whole time working in ministry. My main form of exercise is definitely lifting weights. I usually hit the gym around 4x a week and hope to maintain that consistency over the next year! I track almost every single workout I do. Week to week I aim to always increase either the number of sets, reps, or the weight on the bar. Over the next 12 months I hope to lift a total volume of 10 million pounds. 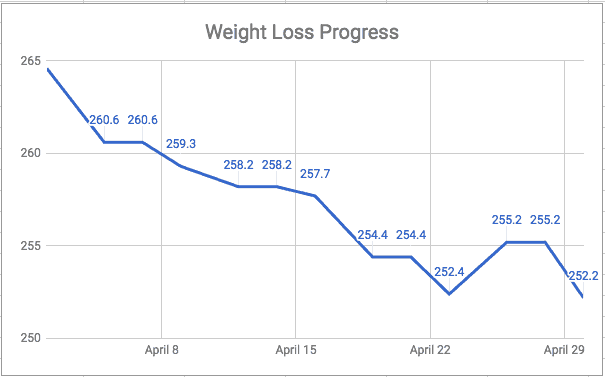 After seeing my weight creep up over the last few years, it is time to finally get things under control! When I got married, I weighed around 230 so that is my target weight! I’m currently about a month into dieting and am sitting around 253. My plan for this is to diet hard down to around 240 by the end of the summer and then maintain for the better part of the Fall. When January 1st comes back around I’ll do my second phase of dieting to drop the last 10-15lbs. I’m also one month into a grocery budget challenge which should definitely help me to not eat out and hopefully save money on groceries! Here’s my progress so far! These numbers are definitely not a stretch for me. I’ve hit them all before and now it’s just a matter of building my strength back up. However, if I am able to complete these lifts at a bodyweight of 230 then that will be a personal best for me. I also want to be able to hit these 12 months from now which means I can’t just hit it hard for 8 weeks and slow down. This one doesn’t take much explaining! A few weeks ago I added pull-ups into my routine and started doing 5 sets till failure. My goal is to be able to hit 20 consecutive pull-ups a year from now. I launched my blog back in October of 2017 and after a strong start, I slowed down when I moved from part-time to full-time work. Last month I began posting again consistently! I have a MUCH longer list that goes into a lot of depth, but here are 5 of my blogging goals for the next 12 months! The first three are process goals that will ultimately lead to the success of the next three outcome goals. My goal setting process is usually to start with outcome goals and work backwards to identify the daily and weekly tasks that will drive results. As a first year blogger, the primary driver of any success will start with creating an incredible bank of content. This might seem strange but I’m only partially writing with my current readers in mind. I’m looking two years down the line. When people come to my site a year or two from now I don’t want them to just read one article. I want them to spend their entire lunch break blasting through 5-10 of my best posts and have them email one to their spouse, send one to a co-worker, bookmark a page, and subscribe to my email list. Yes, I absolutely want to help people today! But my entire focus is how much can I help someone a year from now. How can I take that reader from point A to B? 20. Talk to at least 100 readers via phone, email, or other mediums. One of my favorite parts about starting this blog has been the chance to network and build real (online!) friendships with other people who are passionate about personal finance. However, most of my time has been spent with other bloggers. This year I want to talk to at least 100 readers in a personal way–either over the phone or email. For months now I’ve felt the need to put together a core group of blogging friends to take it to the next level. Just this past week I listened to an awesome podcast by Pete McPherson interviewing Aaron Walker all about the power of masterminds. It was definitely the kick I needed to add this to my goals list for the next year. This one is pretty arbitrary, but nice round numbers are fun to aim for! This will probably take a combination of growing organic traffic over the next year and lining up some guest posts or big features! I know that behind each of those page views is a person looking for an answer to a question, advice on their finances, or tips for their marriage. 60,000 page views means 60,000 chances to help someone. I’ll be honest! Social media isn’t my thing but I actually enjoy emails. Building an email list is one of those things that all the pro-bloggers tell you they wish they had started earlier, so I’m doing it! I don’t have much of a strategy for collecting emails or interacting with those on my list, but for now I’m hoping to keep creating great pieces of content and offering them to people as a free download. I have a couple of bigger projects in mind for possible opt-ins, but I’m going to hold off before investing the time. In my eyes, wealth is a means to an end. For my wife and I, as 25 year olds, the more aggressively we save now, the bigger of a head start we have. We’re doing our best to save now so that when we have kids and get older we’ll have already done the heavy lifting for our retirement and life planning. We have some pretty audacious giving goals, but for now we’re happy to be giving at least 10% of our income to our church and we also support a missionary in the middle east. Hopefully as our income increases, we’ll be able to increase the way we support others. Setting life goals for our wealth has given us some concrete goals to chase after! Our current net worth is hovering in the $45-50k range depending on the markets. With our aggressive savings rate, we should have no problem crossing the $75k mark and we may be able to stretch close to $100k if the markets keep their pace. We also don’t include the value of our cars in our net worth, however we would include home equity if/when we buy a house! We aim to see our household income increase every year, even if it just a little bit! These raises add up. Over the past couple of years we have gone from earning $41,500 when I was unemployed to over $90,000 as a dual-income household. We only have a couple more years before we expect to start having kids and we want to stockpile as much as we can before then! There are a bunch of bloggers out there who make serious money selling the dream that blogging is a get rich quick scheme. Don’t get me wrong, there are some great bloggers out there who DO make a lot of money from their blog, but that isn’t the norm. I want PF Geeks to become a business. I want it to be a source of income for my family and I. However, I know that the only way that would ever happen is by truly helping people. Blogging is a long-term game though and in the meantime I want to find a side hustle that can bring in a steady stream of monthly income. We are looking to buy a house this year! We’ve been saving diligently and have enough to put 10-20% down depending on the purchase price. We have our eyes on a few neighborhoods in Houston and hopefully I’ll be able to share in our first quarterly report that we are new homeowners! Unlike a lot of personal finance bloggers, I absolutely love what I do for work. I get to spend my time investing into the lives of middle and high school students and teaching them about God. It really is a joy and I have no desire to retire early or “escape the 9-5”. If anything, the longer I work, the more committed I am to the task at hand. I’m also pursuing a Masters in Theology which is a 4 year full-time program that I’m doing part-time while working. I should graduate in December of 2021! There’s a good chance that I pursue doctoral work someday and I could see myself teaching adjunct in seminary environments. One of the best things you can do to set yourself up for future job raises is to get in the habit of having regular job performance reviews with your supervisor. If you are consistently outperforming in your work and doing an excellent job, then these are chances to show off! The more often your boss notices your hard work and performance, the better! Some employers have these, but if yours doesn’t then try to initiate them! You’ll get bonus points for asking for feedback and it will show that you care. I’ve been in my current role for two years and have only had one job performance review–and that’s because I sought it out right before asking for a raise. I’m hoping to initiate these more often to lay the groundwork for future raises. This summer will be a new adventure for me when it comes to preaching! Over the past couple of years I’ve taught through the book of James, the Sermon on the Mount, and multiple other studies. I’ve never had the chance to preach through a book in the Old Testament so this should be a good challenge! I’ve spent the last two years serving as our church’s youth pastor. While I love my role, I do want to gain experience in other areas. Currently I’m overseeing two volunteer teams and our website refresh. Ideally, this next year I will take responsibility in one more key area. My hope is that this would be with our missions & community pastor. This year I’m hoping to develop a couple of resources for either staff-wide or church-wide use. As of now, I don’t have any ideas but my hope is to create some “evergreen” resources to encourage and equip people. My two current ideas are putting together a handbook for our youth volunteers and a 6-8 week launch curriculum for our church-wide small groups. 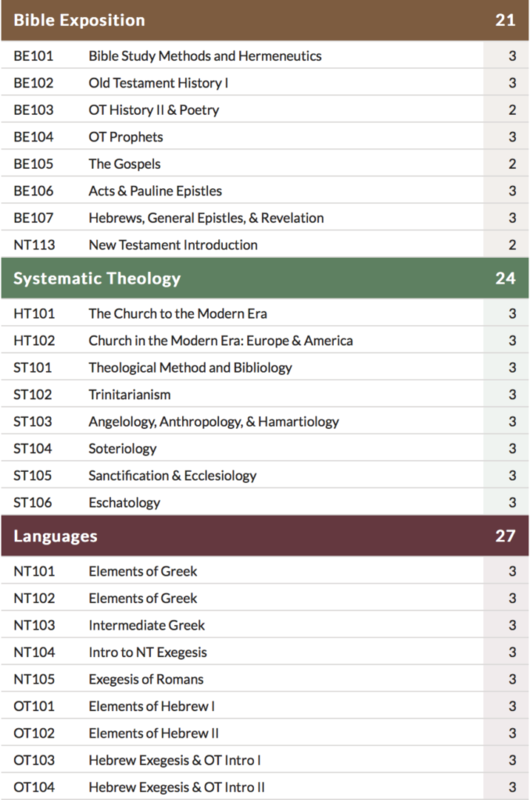 I’m about to start my third year of seminary and I currently have a 3.92 GPA. My hope over the next year is to maintain this! Faith is by far the most important thing to my wife and I. It forms the foundation for our marriage and our love for each other. Everything else is secondary to this. It’s definitely a bit awkward to be setting life goals for our faith because it is so intangible, but I also know the things that help us grow and dig deeper in these areas and want to pursue them. One of the things we’re both trying to improve on is our prayer life, especially praying together. Our goal for this next year is to make prayer together part of our daily rhythm of life and marriage. This is morbid, but one of my family goals this year is to put together a “just-in-case” folder. I handle most of our finances and have a roadmap in my head of where we’re heading over the next 5-10 years. I’ve been slowly teaching her about finances and trying to get her more involved in our financial plan, but I’d love to put together a master document detailing what to do in case anything ever happens to me. Our church has community groups that meet during the week where families come together to fellowship, grow together, and “do life” together. One of my hopes is to help lead a group starting this Fall. For most of my life I’ve always had great mentors and coaches in different areas! For the first time, I really don’t have that and it might be the time in my life when I need it most. Over the next 12 months I hope to find some older guys who can pour into the key areas of my life and in turn do the same for others. 2. For my wife to be able to confidently say that she knows she is the number one most important thing to me. My wife is the most important person to me, but too often I let the busyness of work, school, or my desire to build a business get in the way of me loving her well. This year, I want her to be able to confidently say that she knows she is the most important thing to me. I never want her to doubt that. At the end of the day I believe my ultimate purpose is to bring glory to God. More having the “perfect family”, making money, having a great career, or leaving a legacy–all of that pales in comparison to our ultimate purpose. However, each of those things and everything on this list are means to the end of making God known in this world and honoring him every day. Over the next 12 months I’ll be sharing my success, failures, progress, and lessons learned chasing after these goals. Essentially these are the absolute most basic tasks that lead to the success of others. One example for me… If I want to see this blog grow, I KNOW I need to write and publish regularly. If I want to successfully publish 52 articles this year, it is going to require me to get in the habit of writing before work each day. A keystone habit for me will be going to bed by 10pm and waking up at 5am as consistently as possible. In my first quarter goals report, I hope to share some of the keystone habits that are driving my success and goal achievement. SHARE: I’d love to see what all my readers are trying to achieve this year! Do me a favor and share in the comments below what some of your goals are for the next 12 months? This is a beautiful list Rich. If you’d have me, I’d love to be considered for your mastermind group. My wife would love for me to talk to somebody ELSE abou the blog. I may steal the goal of talking to 100 readers. That’s a fantastic idea. Thanks man! You are definitely on my list for whenever I get around to putting one together. My wife would definitely agree. Maybe we need a group for “spouses of bloggers” to commiserate with each other. Love that you’re going to chat with your readers! Happy Belated Birthday! You’ve got your work cut out for yourself this year. It’s cool to see the goals you’ve set across all sectors of your life; I think that’s really important instead of getting caught up in one main thing. Your blogging goals caught my eye because they weren’t just traffic/income based. I especially like the one about connecting with 100 people. And huge kudos on the ‘just in case’ folder. Both partners playing a role in managing the household’s finances is so essential. I’ve bugged my parents about this very thing because my mom is out of the loop when it comes to the money side of things. She’s also a few years younger than my dad so there’s a good chance she will be left to deal with it at some point. Morbid? A little, but it’s better to be prepared. Thanks Sarah! I’ve definitely got my work cut out for me, but I think a lot of the goals sort of “stack” into each other. If I can nail just the first goal on the “health” list, then my hunch is the rest will fall into place alongside it. If I can write consistently and talk to readers, then the traffic and email list growth should follow! The “just in case” folder has been on my today list for the longest time. I handle 95% of our finances–an arrangement my wife is more than happy with. However, if I were gone tomorrow, it would be difficult for her to pick up where I left off. I feel you on your parents though. My mom is 8 years younger and will someday face the same situation as your mom. You’ve got some lofty goals for the year! 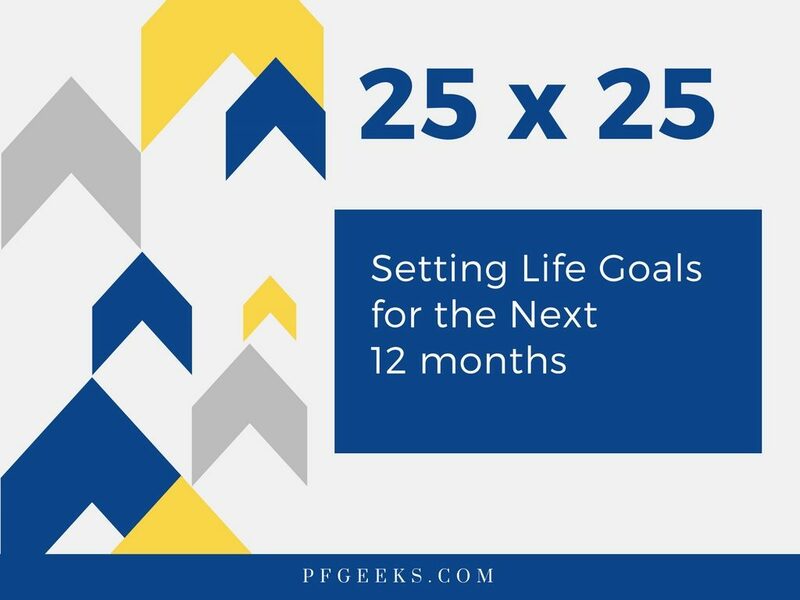 I can relate – I too am a serial goal setter. Wow, ten million pounds?! That’s awesome, I would have never thought to keep track of the weight like that. It’s also one of my 2018 goals to put together a “just-in-case” file. Right now I take care of most (all) of the finances and definitely wouldn’t want my husband to be burdened with hunting down any of that information if anything were to happen to me. I think you’ll make great progress on these goals, especially the detailed way you laid them out. I’m excited to see your quarterly updates. And happy late birthday, Rich!!! Thanks Emilie! Appreciate the super engaged comment! Goal setting is probably near the top of my list of hobbies. Right after puppy snuggles and eating. I usually don’t think about my workouts in terms of total volume! It really isn’t the most helpful metric, but it is a fun one! I average around 50k pounds lifted a workout, so this basically means I need to be making it to the gym around 4x a week on average. It took me a while to put these numbers out there, but I think they are attainable! Putting them out there and measuring them every 3 months should definitely give me the push to stay consistent! I do LOVE my job. 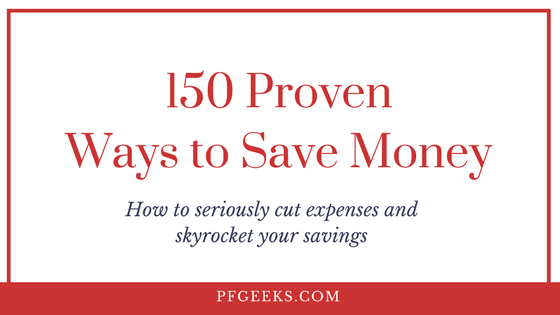 There are a lot of non-financial perks to it and the biggest one is just an over-arching sense of purpose. Waking up and knowing I get to do something that helps people. Hard to beat that. You should totally look into seminary though! 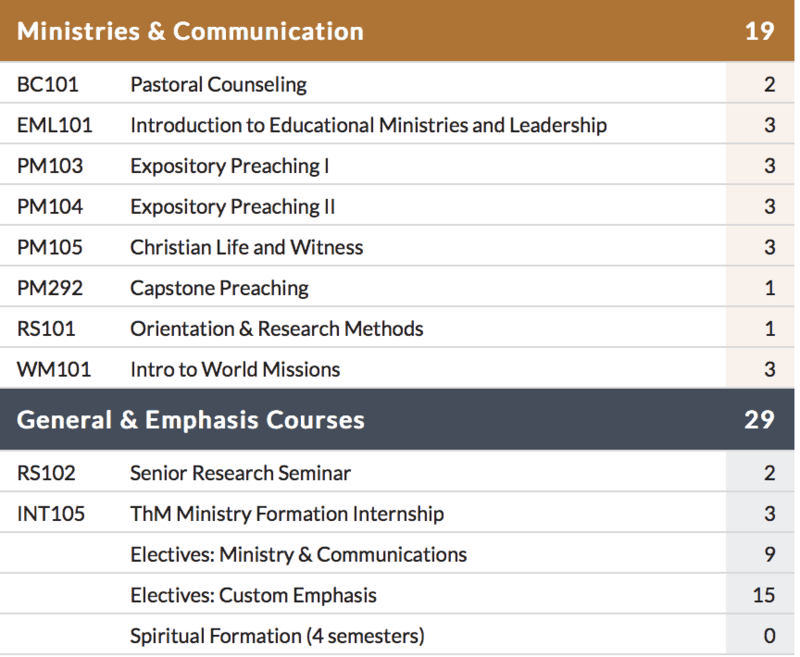 Or at least auditing classes or free online classes–lots of seminaries offer these. It’s a good way to get a taste for it! My program is fairly academic with the heavy emphasis on language work. 5 semesters of Greek and 4 of Hebrew. I’m incredibly fortunate that my employer is paying for my school! It is a HUGE benefit. Let’s talk about these “just in case” folders. Would love to see what you include in it. Oooh auditing classes is a great idea! I took a Hebrew scriptures class as an elective (we had to take a religion course) in undergrad and it ended up being one of my favorite classes. I’m super into all the history and context. My vision for the just in case folder is all the details of every bill we have to pay and how I usually pay (online/in person/mail), passwords and usernames for all accounts (online bills, banking, social media, etc. ), insurance information from employers including life and disability insurance, locations of auto titles, and I’m sure there are more important things but that’s what I can think of off the top of my head. Whew, those are some serious numbers for Bench, Squat, Deadlift and Pull-Ups! Doing 20 in a row is a pretty impressive feat. I’d be amazed if I could do 10 today – but they were a little easier when I was a few pounds lighter. This list looks like you’re seriously setting yourself up for success. I love the dynamic between measurable goals and changes in action as well. I’ve made the mistake before of setting all one or the other, but setting both like this is a great way to go. Thanks for the callout on the keystone habits concept! The 5am wake up a huge one. Have you ever read The Miracle Morning? It is a super inspirational one for the idea of waking up early. Thanks Adam! The pull-ups will definitely be the most difficult part. The bench, squat, and deadlift numbers are actually less than my previous maxes, but if I can hit them at a lower bodyweight, then that will be a big PR! I read a post by James Clear that talked about setting process goals instead of strictly outcome goals and that was a huge shift for me. After identifying process goals, I try to figure out how they “stack” on each other which is why I loved your keystone habits concept. I know that if I can make it to the gym 4x a week then I’ll get stronger, lose weight, and hit the #’s I want to hit. If I want to grow blog traffic, email subs, then I really need to write often and talk to readers. I haven’t read Miracle Morning, but I may have to now!